We are offering Switch Fuse Disconnector Unit. • Higher Mechanical and Electrical life. Being quality centric firm, we are involved in providing the first-class range of Drop Out Fuse Switch. Our organization bring forth an extensive range of Switch Disconnector Fuses. These fuses are renowned for their consistent performance and reliability. 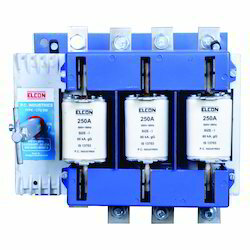 In the cases of faults in circuit, these fuses are used of interrupting the flow of current, hence preventing any damage. Additionally, these fuses are also procured from Schneider Electric India Ltd.
- Wide range : 32A to 800A in TP, TPN & 4 Pole version. - Breaking Capacity : 80kA with fuses. 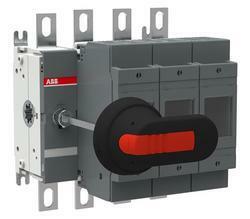 - Suitable for both BS type & DIN type fuse mounting. - Door interlock with defeat mechanism and padlock facility. - Quad break operating mechanism ensures less heat generation. - Self - cleaning contacts ensures free maintenance. We are trading switch disconnector fuse range 32A to 1000A. Make as buyer requirements like siemens. L & T, C & S, Schneider. - Size 2 ...........200A, 250A, 320A, 400A.